Elegant and complex with concentrated red fruit, the 2014 Sori Bricco Vineyard Cabernet Sauvignon opens with inviting aromas of rose petal, mineral and candied fruit. Ripe cherry and red currant flavors are predominant upon the first sip, while notes of crushed granite surround vanilla and spicy oak. Balanced acidity makes this wine juicy, while tannins from this hillside location yield the framework for a wine with great longevity. This hillside wine is planted on well drained loam with a north/northwest aspect. 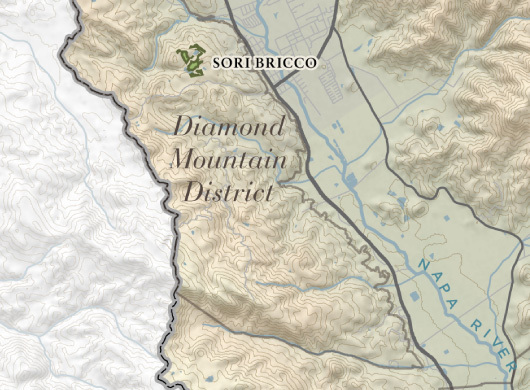 High in the hills of Diamond Mountain, Sori Bricco spans a wide range of hillsides with different sun exposures resulting in separate harvest dates across the ranch. 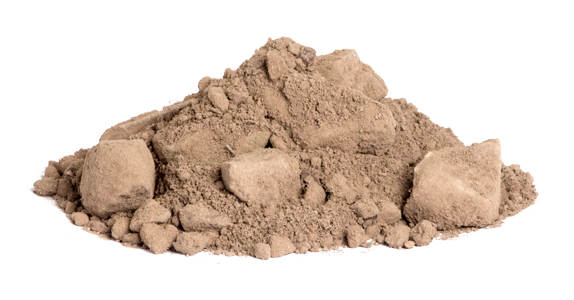 The soil is composed of a sandy, gravelly loam and the vines tend to be very small as they struggle against the slopes. The climate is very warm in the early spring and these vines are among the first to bud each year. The warm summer months produce nice, juicy flavors, while the cooler nights offer long hang time to gain tannin maturity each season. 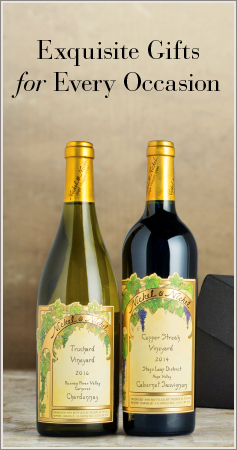 Nickel & Nickel produces wine from about six acres of this 25-acre vineyard. We are so blessed to be growing grapes in the Napa Valley. This was another beautiful growing season with an ideal spring that led to an early budbreak and bloom. Despite the low rainfall, the vines in this vineyard continued to gain strength and, as a result, more clusters were produced. The divided canopy offered speckled light to the clusters, which was essential since the climate is much warmer on Diamond Mountain. Warm summer days colored the fruit quickly, which was optimal for uniformity. The two blocks ripened at different rates, so we harvested them separately in the latter half of September.